Richard Johnston is a quiet achiever. He and his wife Rachel and their three daughters live on a 16 acre lifestyle block in rural Bombay. Richard makes a daily commute to Hamilton where he heads a BMW dealership, Coombes Johnston BMW. But Richard has not always worked at the top. Starting out as an apprentice technician at the age of 17, he decided to establish his career with one of the most recognisable vehicle brands in the world. Progressing from the aftersales side of the industry into a sales career, ultimately led Richard to business ownership. A hands-on leader, he takes an active interest in all aspects of his business. Richard is on a first name basis with a large number of Coombes Johnston clients and still maintains an active role in vehicle sales. He says a number of loyal clients hail from the Franklin region. 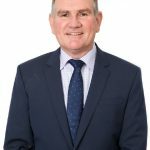 Coombes Johnston BMW has recently opened purpose-built premises on Te Rapa Road, which Richard believes signals a new era in BMW retail. 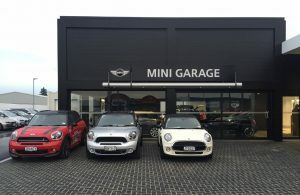 In addition to a new BMW showroom, a new brand has been added to the Coombes Johnston ‘family’, MINI, under the name Coombes Johnston MINI Garage. Every night, Richard drives a different BMW home. In keeping with his hands-on approach to business, he likes to ensure he can describe the driving experience of each model in the range from personal understanding. However, for day-to-day family travel, the Johnstons drive a BMW X1 M Sport. Richard says this particular vehicle handles well on rural Franklin roads and during Rachel’s commute into Auckland, where she works as a teacher and where their children attend school.